What’s in a name? 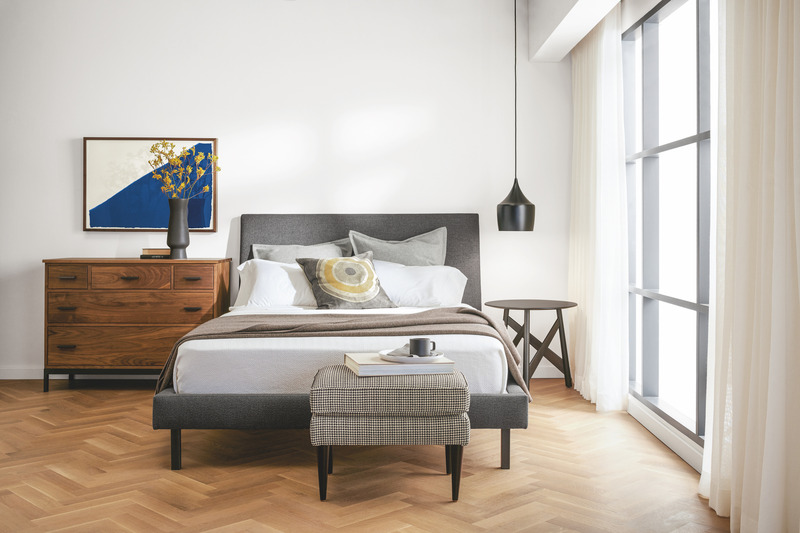 Simply because a piece of furniture you love is labeled as a “nightstand” or “dining table” doesn’t mean you’re restricted to keeping those items in a bedroom or kitchen. And when it comes to these types of creative styling solutions for the home, Zach Herbst has no shortage of ideas. Zach, an expert Design Associate at our Shop From Home office in Minneapolis, gave us some design advice and insight into unexpected uses for some of our most sought-after products. “There’s so much room for creativity and personalization,” he says. 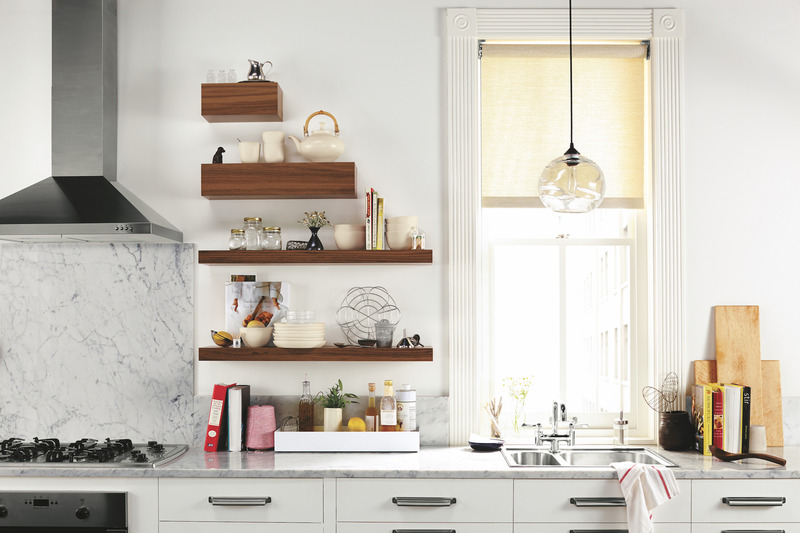 “Shelves in a kitchen are a great place to showcase vintage appliances, a basket with fresh fruits and vegetables, or putting some of your most used spices into glass jars for a fun, colorful look,” says Zach. Create your own vanity solution by using one simple shelf. A mix of materials makes it that much more modern. 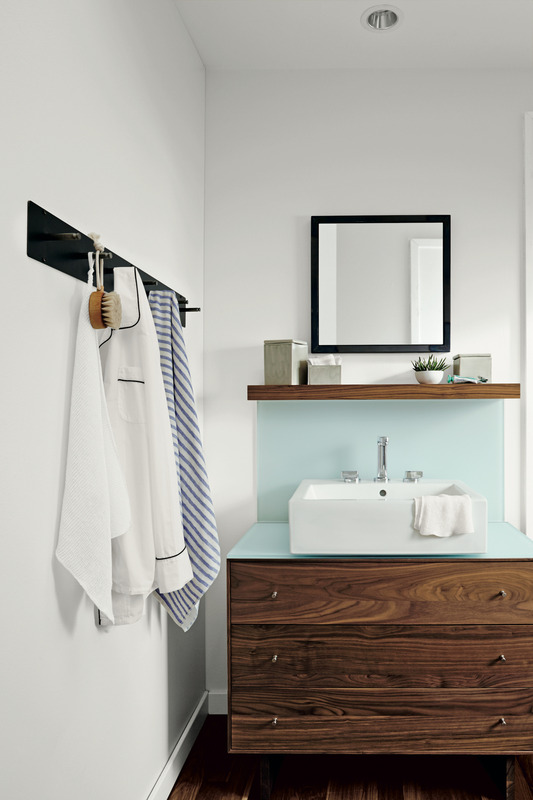 We show a Float shelf in this bathroom underneath our square Soho mirror. Create a makeshift end table out of a shelf. Mixing it with frames, mirrors and other accessories adds an eclectic feel that’s also functional. “Using shelves for a frame wall takes the guesswork out of an arrangement. Position shelves or ledges from floor to ceiling then set frames on them for an ever-evolving frame wall that adds some depth to your space.” Here we paired our Profile frames with our stainless steel Trace shelves for an ultra modern look. Whether you’re using ledges to “frame up” a frame wall or going with an organic shape, our Frame Wall Guide is full of more ideas and inspiration. 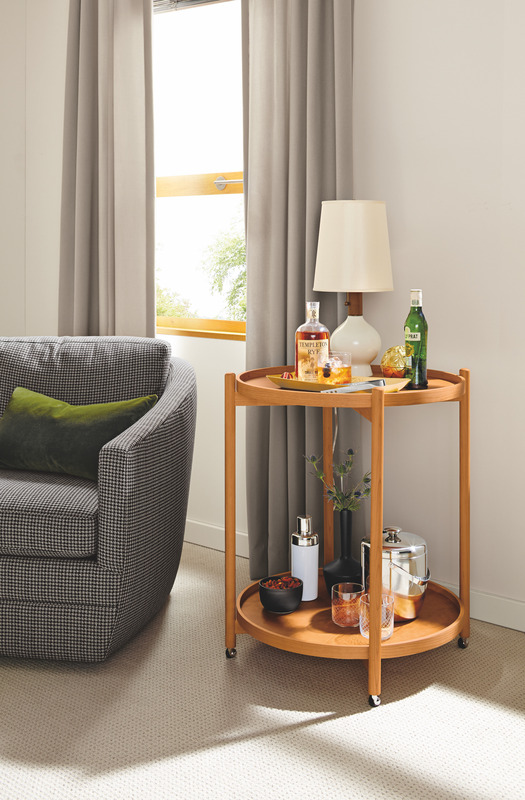 The Blaine bar cart is small enough to tuck into a corner, but offers plenty of storage for any barware, glassware or living room accessories. Stainless steel and glass are always a winning combination. 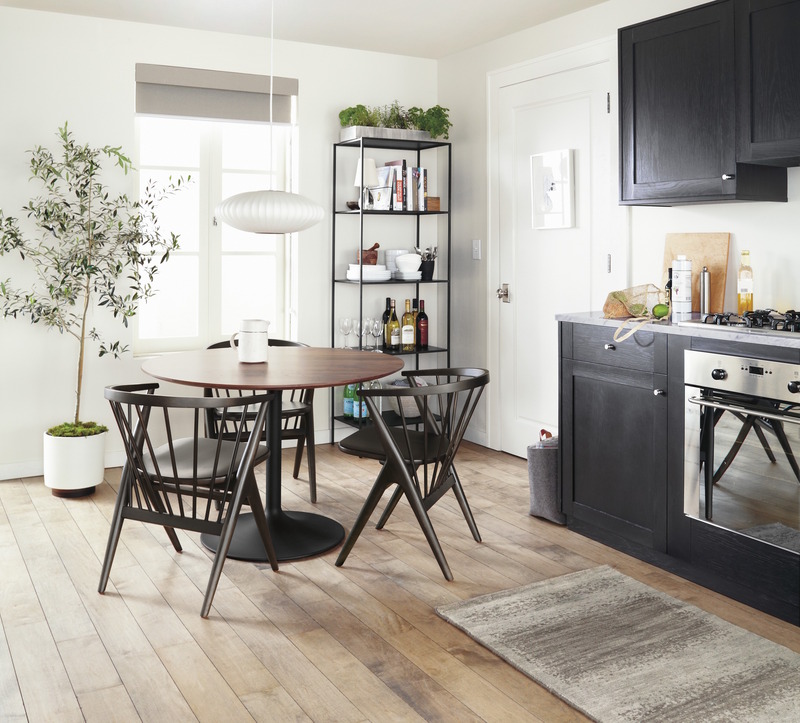 The Brixton bar cart looks flawless in this dining room and functions as a versatile storage unit solution. Don’t be shy about mixing the Slim bookcase anywhere in your home. It’s made from natural steel – a total chameleon of a material – that will look great in any setting. 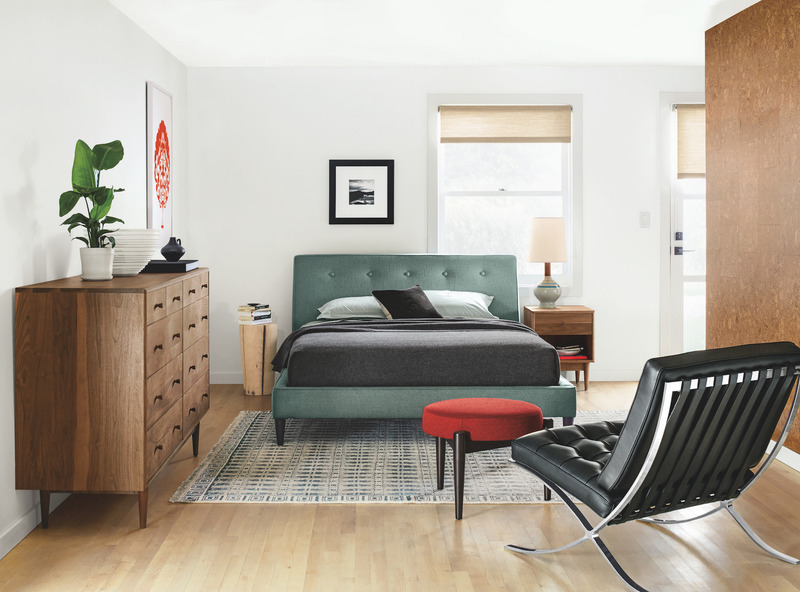 Keep the inspiration going and see how other Room & Board customers are styling their spaces in our Customer Photo Gallery. 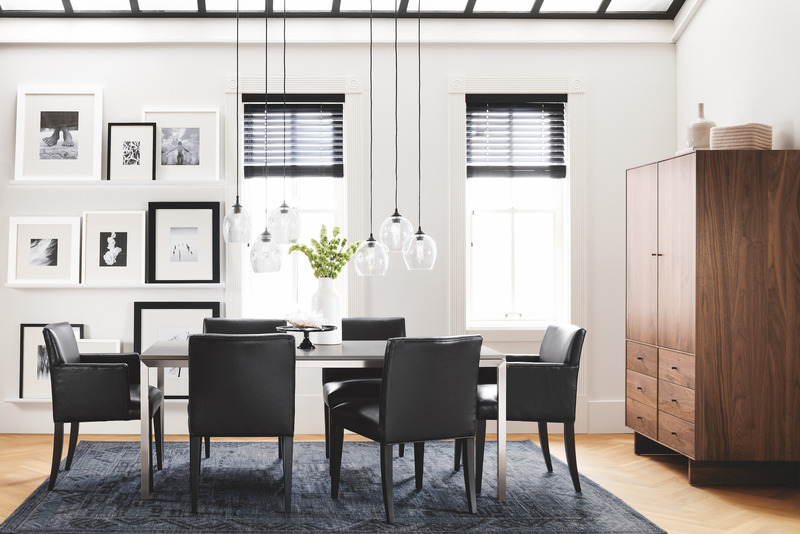 Or take advantage of our free design services – expert advice, floor planning and more creative styling solutions are available to you at any Room & Board store or online at roomandboard.com.